The Obama Administration announced that the Group of 20 (G-20) Summit scheduled for September, 2009 will take place in Pittsubrgh, Pennsylvania. 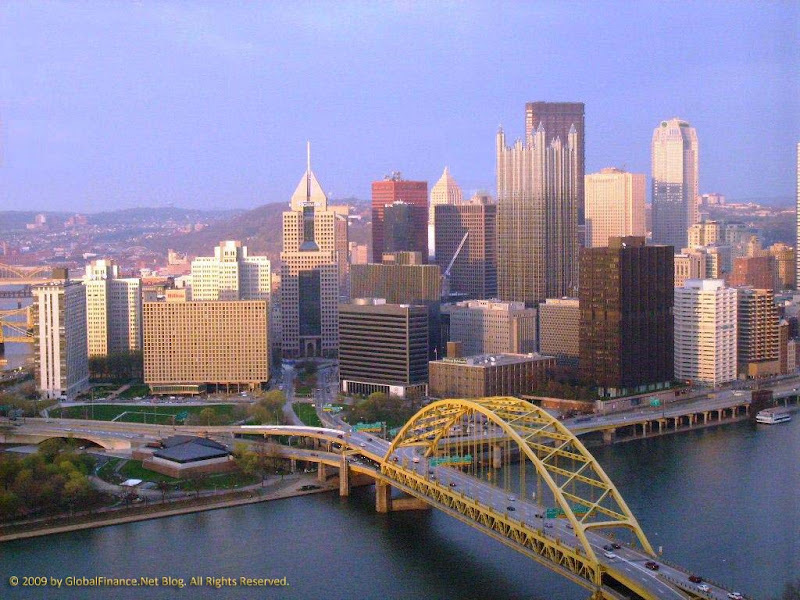 Your author grew up in Pittsburgh, so the location is interesting for a number of reasons. Random choice, or does Pittsburgh send a message? Does the choice of Pittsburgh signal a U.S. turn to focus on manufacturing and industry as a path for economic revival? Pittsburgh was once one of the world’s industrial capitals and even today sits atop the largest coal seam on the planet. But modern day Pittsburgh’s largest industry is healthcare (with education and IT slightly behind). Will the G-20 be a showcase for how these new industries can replace the old? The decision to convene the leaders of the Group of 20 countries in the U.S. this fall around the time that heads of government gather at the United Nations in New York presented U.S. officials with a delicate decision: How to gather the 20 leaders in a way that didn’t insult those from countries that aren’t included. Yinz is Triple yoi wrong! With all due respect, Pittsburgh’s symbolism stands for exactly what the world economy needs. Pittsburgh was left dead and dying by the Reagan policies of the 1980s. The population of the city in the 1950s was over 600,000 people, today that population is under 300,000. Many, like this author, emigrated to economically better areas. But for a city not beset by war or natural disaster, losing over 50% of the population is nothing short of an astounding collapse. With America’s domestic industry written-off for dead in the 1980s, Pittsburgh embarked on an ambitious project to transform itself from a steel and coal town to a medicine and tech town. The city now boasts some of the world’s premier medical facilities and its medical personnel like Dr. Thomas Starzl (father of modern organ transplantation) and Jonas Salk (inventor of the polio vaccine) are only a few of a rich scientific heratige the city can lay claim to. As the world continues to suffer from the economic crisis, Pittsburgh is a model of how we can change from non-working economic models to new paridigms. The former steel town is now a green city with a vibrant arts community, premier medical facilities, leading technology, and now – a truly international profile.